The National Highway Traffic Safety Administration estimates that, per vehicle mile traveled, motorcyclist fatalities occur 26 times more frequently than passengers in cars. 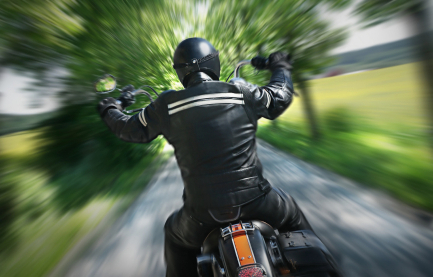 While it’s no secret that driving a motorcycle comes with its fair share of risks, the law does not give motorcyclists any less rights than those operating a car. Yet, there is always a certain percentage of the public that feel motorcyclists should accept their fate since they are engaging in a risky activity. At times, it almost seems that people have more sympathy for the driver of the car who failed to see the motorcycle than they do for the injured motorcyclist. As a motorcyclist, you have the exactly same right to compensation and the same privileges of people who choose to transport themselves in other vehicles. At the NW Injury Law Center, we have represented victims of motorcycle accidents for over 35 years and know to ensure your legal rights under the law. An attorney handling a motorcycle injuries has to understand this prejudice and confront it head on. Fortunately, our experience will help us make sure that you get all the compensation you deserve if injured on your bike. Please call NW Injury Law Center at (360) 695-1624 if you have any questions or would like to speak with us regarding motorcycle damage or injury. 10 Legal Tips you can use if injured in an auto accident.